The trouble with standard mobile email apps is one of translation. These are all pretty much desktop email platforms tweaked for mobile, and it shows. Boxer is an app that makes mobile email more . . . well, mobile. You can use it to aggregate multiple email accounts, centralize archiving, and more closely tie email to other productivity tools. Through an open integration platform, Boxer intends to extend the power of mobile mail through integrations with other common mobile tools, such as Box, Dropbox, LinkedIn, Salesforce, Evernote, and Facebook. Platform: Currently only available for iPad. Now that the holidays are over, reality has set in and you probably have a resolution or two to live up to. If any of your resolutions are along the lines of "be more efficient at work" or "find ways to boost productivity," you're in luck. These apps will help you meet and even exceed your work-related resolutions in 2014. However, that 10 pounds you gained during holiday feasts? You're on your own. 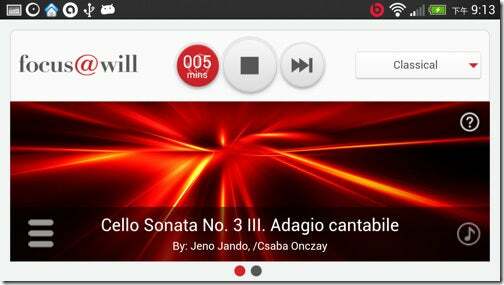 The focus@will app streams music that is intended to boost your concentration. To develop the app, the focus@will team worked with neuroscientists at UCLA to understand how music influences motivation, and which types of songs, playlists, and genres encourage people to enter "the zone" where they're most productive. All of the playlists are designed so they don't distract you, meaning there are no songs with vocals or saxophone solos, for example. Songs are chosen to help you focus, concentrate, and get into the flow of working. The service offers a variety of genres. 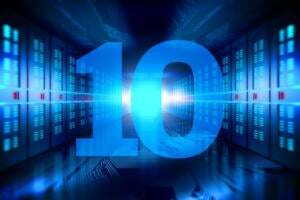 Cost: Free users are limited to 100 minutes. Premium accounts cost $4/month or $35/year. 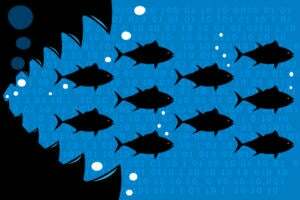 There are plenty of goal-setting apps out there, but what’s unique about Sociidot is that it attempts to shift your focus away from raw productivity to setting goals that actually matter. Most people push off grand goals in favor of everyday tasks. Sociidot helps you focus on the things you really want to do and motivates you to get them done. For each goal you create a Story. You populate each Story with Dots, which are tasks that you can do one at a time in order to get yourself closer to the goal. You assign each Story and each Dot a due date, so they won't be pushed aside by other less important tasks. The app also encourages you to include photos to help you visualize goals. Cost: The app is free. However, you can purchase in-app “roadmaps” from experts at between $1.99 and $5.99. Have you ever had this experience? You feel like you’ve put in a long, hard day of work, yet when you glance at your to-do list, not a single thing has been checked off. Where did the day go? RescueTime will help you figure it out. 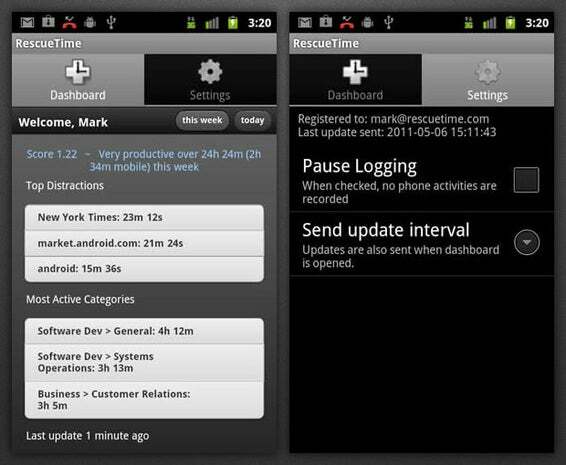 RescueTime runs in the background on your computer and mobile devices, tracking time spent on applications, specific websites, calls, etc. and gives you detailed reports on where your time was spent. You can create website block lists, track productivity scores and set up alerts to, for instance, warn you that you’ve been on Twitter for 30 minutes already. Cost: The Lite version is free. The Pro version is $9/month. Have you ever wondered why you can’t stick to your to-do list? Any.Do encourages you to build task-management rituals through the daily Any.Do Moment, which gets you to start each day by deciding which tasks you’ll complete, which you’ll delegate and which ones you’ll put off. In other words, it makes you mindful of your to-do list, forcing you to think about it rather than just glance at it every now and again. The app also trains you to think about the other people you must connect with to complete any given task. The second app on the platform, Any.Do Cal, integrates all sorts of activities to make your calendar more useful. Platform: Any.Do is available for both iOS and Android. AnyDo Cal is currently available on iOS, but an Android version is in the works. The creators of ZenDay refer to this app as “GPS for your time.” The app merges calendar information with tasks and to-do items into a 3D user interface, which helps you visualize what lies ahead. A neat feature of ZenDay is the ability to create “floating tasks,” which are dynamically added to the calendar whenever time is available. Depending on priorities, tasks get rearranged in the calendar and once completed, automatically disappear to give more space to other commitments. ZenDay also includes a “Time Coach” feature, which debriefs you on your previous week. By becoming more aware of your achievements, you will naturally become more effective. EasilyDo is a virtual personal assistant. The app anticipates users’ daily tasks and offers to execute them on their behalf. EasilyDo proactively organizes contacts, reminds you of birthdays, checks traffic, keeps track of airline boarding passes, notifies you about bad weather, and even tracks packages. Have you tried several to-do apps and found them lacking? Is it just too easy to ignore them? Enter CARROT, your own personal “task master.” CARROT’s name is a bit misleading. This app is more stick than carrot, and it will cajole, annoy and entertain you into getting things done. Be ready for notifications along the lines of “Greetings, lazy human. I am your new task master.” The app punishes you for procrastination (“Public Shaming 001: Would you like to confess your laziness to all your social media friends?”), but rewards you for productivity, giving you points that you can redeem for various prizes. Clear’s approach to to-do lists is to emphasize smartphone input methods. Rather than just checking boxes, everything on Clear is done through taps, swipes and pinches. Clear also color-codes tasks in a “heat map,” so the most pressing items are bright red. It’s intuitive and easy to use. Have you ever been in one of those meetings where a complex strategy is mapped out on a whiteboard, followed by everyone snapping photos of it with their smartphones to remember everything? Seems like a kludgy approach in our connected age, right? That’s what the developers of Zamurai thought. Zamurai is a mobile whiteboard collaboration app that enables capturing and sharing ideas and discussions in real time. Users can access the whiteboards from any device. Cost: Free to start, with in-app upgrades to unlock premium features. 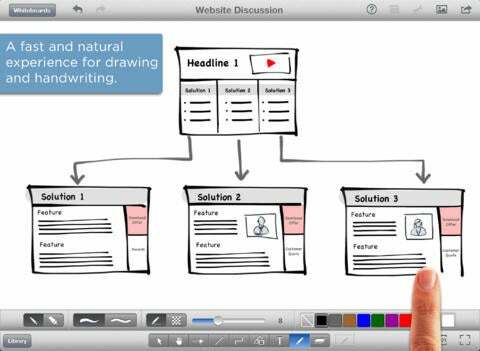 Talkboard is a collaborative whiteboard app developed by Citrix. With Talkboard you and your team can sketch, brainstorm, create, and doodle together in real time. This app gives iPhone and iPad owners an easy way to edit mobile videos. Business users will find it especially handy for quickly creating presentations and slideshows. Videoshop includes such features as the ability to add and trim music, create slow motion videos, record voice overs and add sound effects. Buffer is a social media management tool that is similar to Hootsuite. Where Buffer differs is in its focus on publishing content, rather than managing various feeds. With Buffer you get handy features such as automatic URL shrinking (a manual task in Hootsuite) and a superior scheduling interface. Cost: Free for individual use. For teams and businesses, pricing starts at $10/month. ABUKAI is an expense tracking app. With ABUKAI, you snap pictures of receipts, hit upload and your expense report is created automatically. ABUKAI emails your expense report as an Excel spreadsheet with your receipt images attached in a PDF. You will receive your finished expense report with cost categorization, date, vendor and all the relevant information already filled in for you. QuickBooks, CSV and OFX files are also included for import into popular accounting or finance software packages. Cost: Free for individuals who only generate 12 expense reports/year. Premium pricing starts at $99/year. This mobile application provides you with an “instant dossier” about pretty much anyone. At first blush, this seems like a stalker’s best friend, but Refresh points out that there is a solid use case for business. 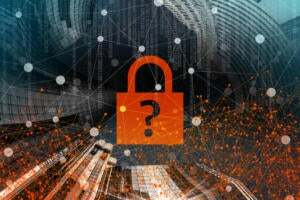 According to the company, “The app empowers users with pertinent information so they can get beyond dreaded 'Nice day today, isn't it?’ chit-chat.’’ Refresh’s “real-time insight engine” pulls information from hundreds of sources, while maintaining privacy controls. Every dossier is personalized depending on who's using the app and what the online relationship is between them and the person they are viewing in the app. YouMail is a visual voicemail/intelligent assistant app. YouMail goes beyond the standard caller ID and prepackaged greeting features. For instance, its block-caller feature can make callers think your number is out of service. 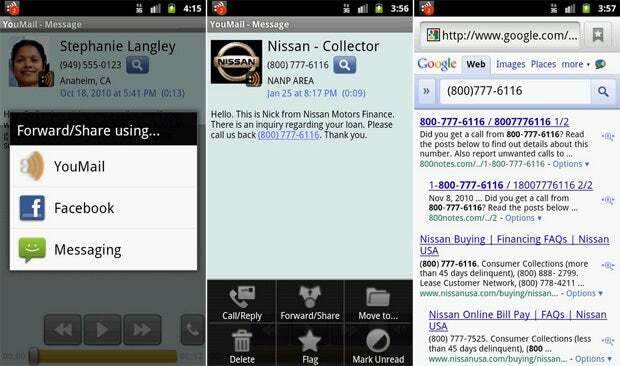 Other features include reply by text, auto forwarding, and transcriptions services. Ookla Speedtest lets you easily test mobile connectivity issues for both Wi-Fi and cellular connections. 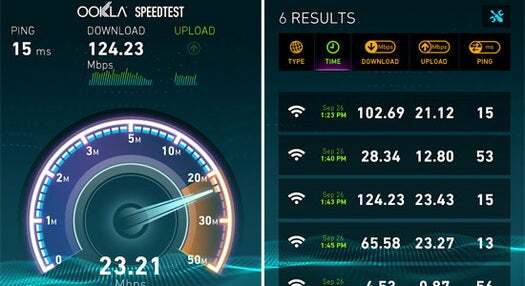 A graphical interface gives you a quick overview of your network speed, no matter where you are. This virtual assistant app is almost spooky in its ability to mine data and tie it to your current activities. Information is displayed in cards, and Now learns more about you based on which cards you find the most relevant. Heading to the airport in an hour? Now will have traffic conditions for you, as well as your travel itinerary and a weather report for your destination city. Now also offers suggestions, such as restaurant recommendations and even what TV shows you may want to watch this evening. This app helps you regain control of your mailbox. Not your email inbox, but your old-fashioned snail mailbox. 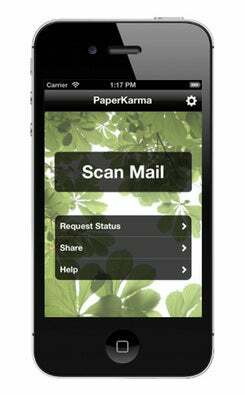 Simply photograph the junk mail as its addressed to you, and Paperkarma will contact the sender to get them to stop bothering you. This app helps mobile workers automatically offer, manage, and confirm sales and service meetings through e-mail, websites, and social media. Through TTM, reps offer customers a selection of available time slots on a customizable online appointment calendar. The customer can instantly choose, book, and confirm a convenient day/time that works for them. Both sales reps’ and customers’ calendars (Outlook, Google, iCal, Salesforce.com) are instantly updated. The app automatically syncs with the SaaS version of TimeTrade, as well as with Salesforce.com, Marketo, and major calendar applications.